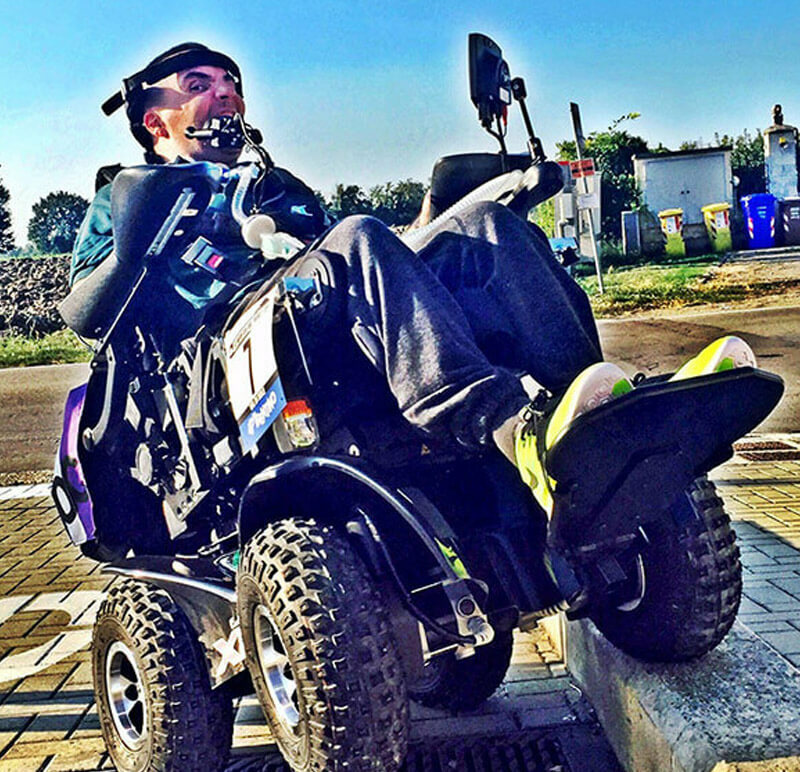 I was still in hospital when I started to stay up all night looking for the wheelchair that was right for me. My doctors recommended the chair they thought would be best for me as a quadriplegic. But it wasn’t right. It was uncomfortable, it had no suspension and the vertebrae in my neck felt lots of vibration. I couldn’t get around even on slightly bumpy ground and I felt increasingly trapped and helpless faced with all the architectural barriers that I had never even noticed before. Stubborn as I am, I didn’t resign myself to the recommendations from my doctors and public authorities. 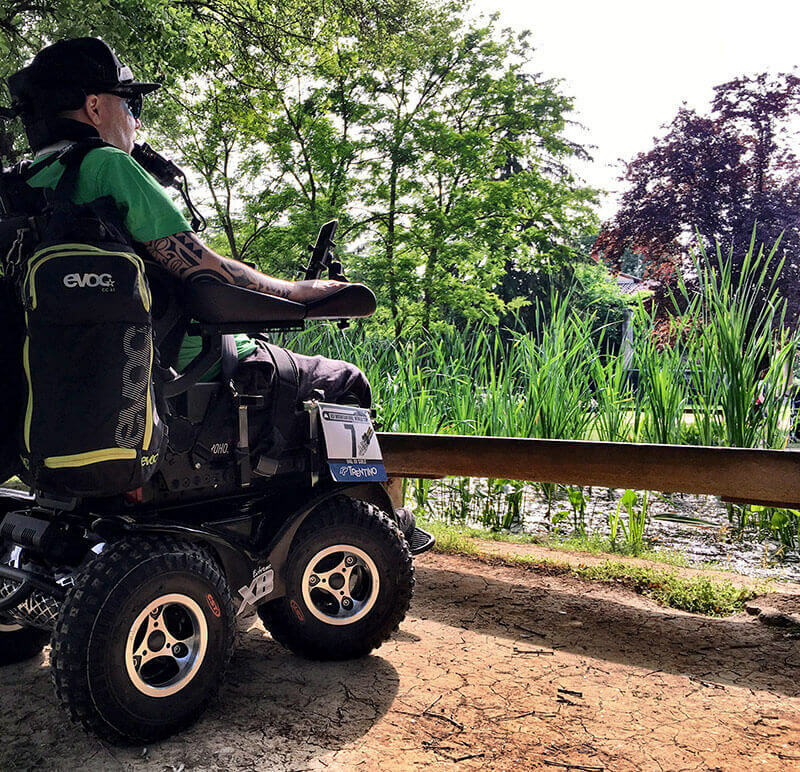 I started the long search, staying up all night and, eventually, I found the right company and the model I wanted: Extreme X8, an electric wheelchair with four-wheel drive. I was able to get one thanks to 'Disabili Abili', who import it from Australia, and thanks to the continued work of the non-profit organisation, Forza Walter, and to all of you who support me. I now have my own personal 4x4 and, on four wheels instead of two, I get up to even more trouble than before. Limits are there to be pushed! I am able to mount the pavement, I can get around my farm where the roads are all dirt tracks, I can go up to 10 km/h on all terrains; no water, mud or sand can get in my way! In Sestri Levante, Liguria, I was able to get down to the beach, in Riva del Garda I did a stretch of the Ponale Road Path! The chair’s got suspension, it’s comfortable and it’s also easier to handle for Elisa. We had to learn and discover many new things together, which isn’t always easy, and it’s amazing to have a way of getting around that makes life easier and helps me feel more independent.